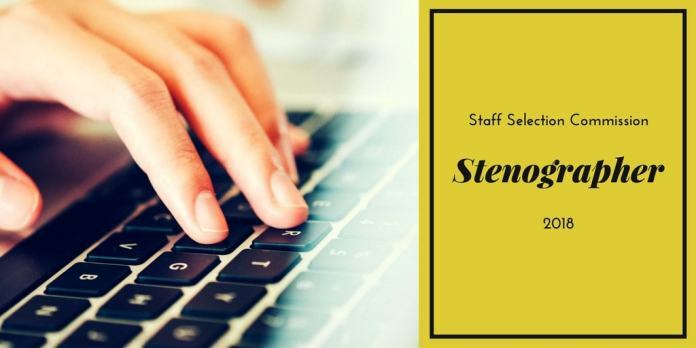 SSC Stenographer Result 2018 – Staff Selection Commission (SSC) has declared the SSC Stenographer 2018 Result and cut off marks for Grade C and Grade D post on April 15, 2019, at ssc.nic.in. The SSC Stenographer Result has been released for the written examination held from February 05 to 08, 2019. The candidates who appeared in the examination can now check the SSC Stenographer Result 2019. The SSC releases the result through pdf. The result pdf is containing the qualified candidate’s name, roll number, category etc. The marks of the qualified candidates will be released on April 19, 2019. The qualifiers of CBT are called for the Skill Test. Get here more details of SSC Stenographer 2018 Result. Latest: SSC has announced SSC Stenographer Written Examination Result 2018 and cut off marks. Scroll down to check the same. Provisionally total 11211 and 15953 candidates qualified for Skill Test in Stenography for Stenographer Grade C and Grade D respectively. The SSC Stenographer examination holds in two phases. The candidates can check the SSC Stenographer ‘C’ and ‘D’ Result Date here. Click here to check the Candidates can check the SSC Stenographer 2018 Result of Grade D.
Click Here to check the SSC Stenographer 2018 CBT Cut off Marks. The first stage of the SSC Stenographer selection procedure is a computer-based test. The exam held from February 05 to 08, 2019 at 208 venues in 107 cities in our country. As per the report shared by the SSC, total 4,36,910 candidates registered for the exam, and in which 1,85,357 (42.43%) appeared for the exam. The candidates who appeared in the test can check their result for the same by following the steps below. How to Check SSC Stenographer 2018 Result? Click on the above link, which will redirect to the pdf of the result. At the time of result announcement, SSC releases the Write-Up and List of shortlisted candidates. Press Ctrl+F and enter your name or roll number. If you can find your details in the PDF, then you have qualified the exam. The candidates may download and take a print out of the result for future references. After the announcement of SSC Stenographer Result 2018 for CBE, the qualifiers will be issued the admit card for Skill Test. The admit card of SSC Stenographer can be downloaded from the regional websites of SSC. SSC provides the instructions for the skill test on its regional website. SSC released the number of vacancies for which the examination was conducted. Check the vacancies here. SSC released the normalization formula, with the help of this normalization formula, the marks of the candidates will be normalized. From the below-given image, candidates can check the Normalization Formula Of SSC Stenographer 2018. Why do SSC Normalize marks in Stenographer 2018? Since the SSC conducted the examination in multiple shifts, so to address any difficulty level in the question paper in different shifts, the marks are normalized for the final score. Initially, the candidates have to appear for the computer-based exam. When candidates will clear computer-based examination they will be eligible to appear for Stenographer Grade C and D Skill test. Soon after the declaration of the result of the Skill Test, the selected candidates will then be eligible to appear for Document Verification. At the time of verification, the applicants need to report at the designated center as per the schedule is given by SSC. The candidates need to bring the relevant document in proof of Date of Birth, Category, Academic Background, etc. It is important that the qualifiers of the Skill Test should appear for the Document Verification process. After completion of the computer-based test, SSC will release the admit card for the skill test. The qualifies of the CBE will able to download it forms the official site of SSC. After conduction of the skill test, the commission will release the result, as well as prepare the merit list and will release them on ssc.nic.in. The candidates who qualify all the stages in the selection process have to appear in the document verification process. It is mandatory to appear in the DV. The following documents have to be produced by the candidates. In the case of Ex-servicemen, you must have been discharged on or before the date mentioned in the Notice of Examination. 02 sets of photocopies for all above-mentioned documents. SSC will resolve the tie cases if two or more candidates obtain equal marks, via following methodologies. Computer-based examination marks will be given preference. Then marks in Skill Test examination will be considered if a tie still persists. Date of birth, with older candidates, placed higher in case the ties don’t break. In the end, Alphabetical order in which first names of the candidates appear will be applicable. The qualifiers of the computer-based test and skill test will be treated as finally qualified if they cross the cut off decided by SSC. After the final selection, the candidate has to serve the probation period of two years. during the period they have to under the rigorous. On completion of the probation, the commission may organize the exam to assess the candidate.